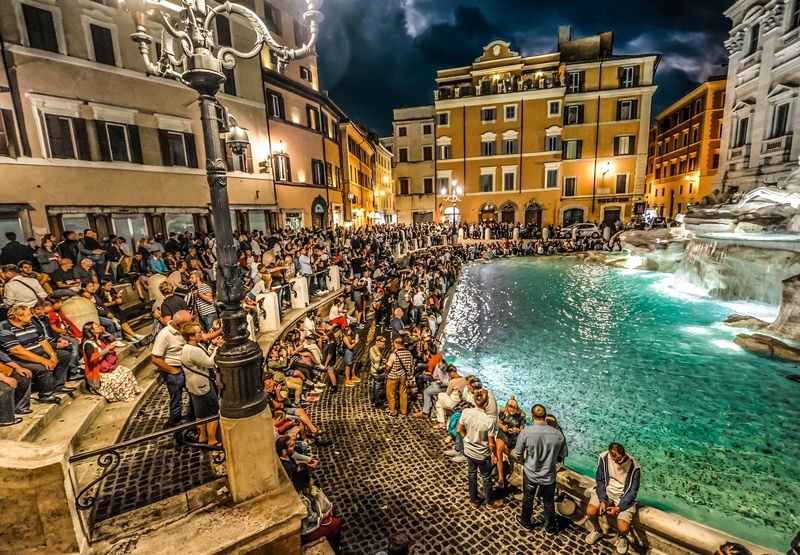 The subject of overtourism is prominent in the press and preoccupies many specialists of the tourism industry, but especially the locals of the countries visited. In this journal article we aim to give an overview of the topic – with voices from our network and beyond. So far there have been few definitions of the keyword “overtourism”. 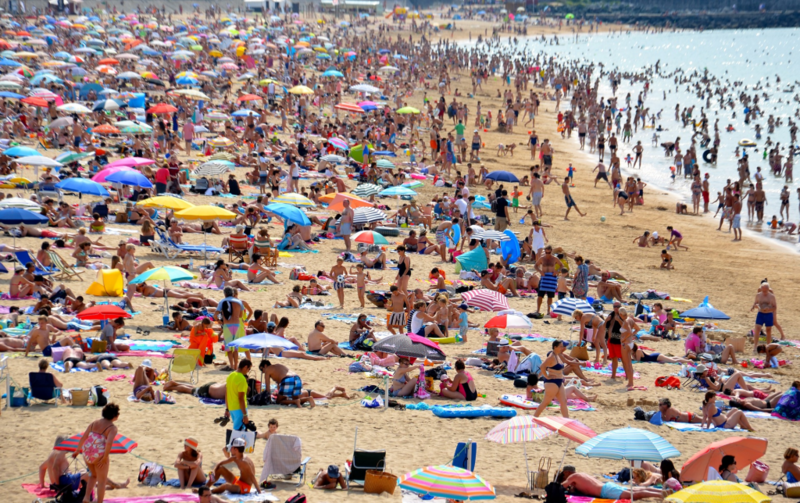 British journalist Greg Dickinson has submitted an explanation to the Collins Dictionary, which reads: “[Overtourism is] the phenomenon of a popular destination or sight being overrun by tourists in an unsustainable way”. Dickinson also found out that the search queries for this term have enormously increased since autumn 2017 and suggests “overtourism”, in an article in the British Daily The Telegraph as “Word of the Year 2018”. 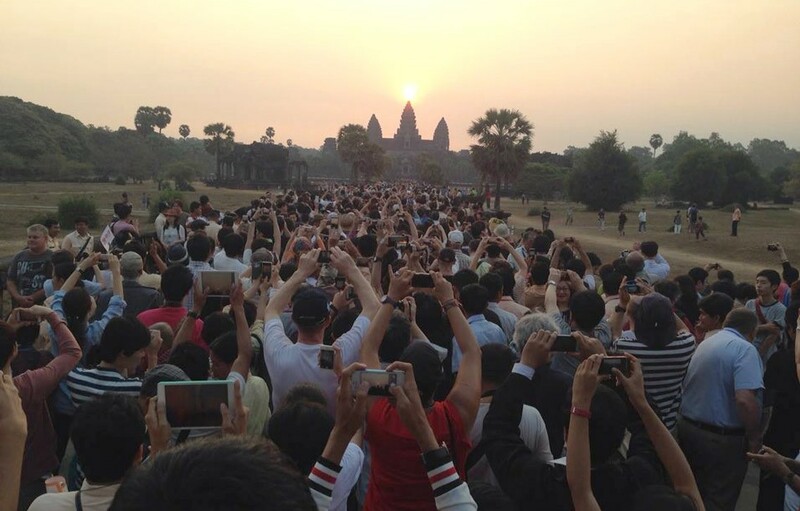 Why is Overtourism taking place now? Dickinson quotes the Brookings Institute in his article, that as the global middle class could currently be around 3.7 billion and another 160 million will join the group in the next five years, there are simply more tourists today than ever before. The world is becoming richer, the middle class is growing in developing countries, and many of these people are spending their disposable income on travel. In 2017, international tourist arrivals increased by 7 % to 1.3 billion. The United Nations World Tourism Organization (UNWTO) forecasts further growth for 2018, but at a more sustainable pace of 4-5 %. Due to the mass of tourists, there is a real ‘flooding’ of cities and regions. In particular, the offers of airlines, cruise liner shipping companies and low-cost airlines are strengthening the flows. More and more city centre apartments are being offered to tourists, the local population is being ousted and rental contracts are not being extended in order to make more profit with holiday apartments, as the Spanish film ” Casas sin familias” (with English subtitles) shows the phenomenon very clearly with the example of Barcelona. The cruise liners spit out a huge crowd of people at the same time, storming the landing stage and completely overloading it. Cheap flights are increasing the number of visitors, and weekend visits are becoming possible for more and more people. “The reasons for this development are certainly multifaceted – and lack of planning and management as well as lack of participation of the population play a role in tourism development,” says tourism expert Cornelia Kühhas of Naturfreunde Internationale – respect to the magazine Lebensart. “One reason, though, is our consumer behaviour. Vacation is increasingly becoming an everyday consumer good, whereas in the past it was commonly perceived as a luxury”. How do the locals react? In popular tourist destinations, protests against rising tourist flows are increasing. 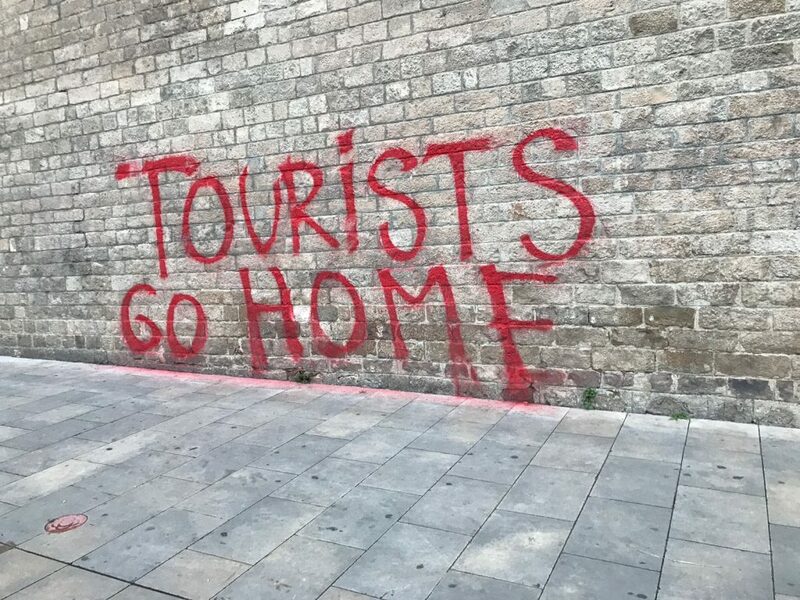 Venice, Palma de Mallorca, Amsterdam and Barcelona are just a few examples where residents are already taking massive action against visitors, putting up disapproving posters and showing little friendliness to tourists. As the enorm-Magazin correctly writes, the protests also generally reflect the injustices of the sector: unfair wages and little participation of the local population in urban development. Frans van der Avert, CEO of Amsterdam Marketing, spoke at his presentation “Tourist destinations under pressure” at the World Tourism Forum in Lucerne about the fact that in his opinion, they are three essential groups which form the soul of a city: visitors, residents and companies. “They make the city by deciding where to eat, dance and admire culture,” says van der Avert. Here, he warned, the balance must be maintained. “The conflict will escalate,” Urs Wagenseil, Professor of Tourism at the Lucerne University of Applied Sciences and Arts, is convinced. In an interview with the Basler Zeitung he talks about the fact that as the economic engine is running worldwide, the global tourist flows are increasing and most people want to see the main sights of a country. This inevitably results in a compression. “The problem in the cities is […] that people want to travel more and more individually and no longer need tour operators. This leads to the cities overflowing. Only local politicians can do something about this,” says Harald Zeiss, Professor of Tourism Management at the Harz University of Applied Sciences in Wernigerode, in the magazine Wirtschaftswoche. Various approaches are already being implemented or are being considered. The aim is to divert travellers away from the main sights and to show them other places worth seeing – in other parts of the city or in the surrounding area. Also under discussion is the restriction or prohibition of short-term rentals of apartments on websites such as Airbnb, so that not entire districts become large holiday resorts. Restrictions will be necessary in any case. If a hotel, a flight or an event has reached its capacity limit, then it is booked out at some point and there are no more seats. There will be no other way of handling the scenario in sight. What can I do as a traveller? Cornelia Kühhas of Naturfreunde Internationale (NFI) appeals to travellers: “Everyone can make a contribution that turns the tide in tourism. Towards a tourism from which all parties benefit and which conserves nature and resources in the best possible way. Take your time – to meet the local population, to immerse yourself in the culture and landscape, even off the beaten track”. The Dossier „OVER-TOURISM – How many tourists can the world tolerate” has been published specifically on this topic. Urs Wagenseil from the Lucerne University of Applied Sciences and Arts says: “Each of us should therefore ask themselves: Can I make my travel behaviour more socially and environmentally compatible? Each of us.” He doesn’t mean, for example, to stay overnight in large hotel chains, but in local hotels and rather to travel longer than be out for the weekend bargains. And best not to travel in high season.